The two-seat, all carbon fiber-bodied Force1 is a high-performance, low-production sports car. Force 1 features an all carbon fiber, lightweight body and 21-inch wheels with high-performance Pirelli P Zero tires and Brembo high-performance brakes. The car has one of the most powerful naturally aspirated road engines in the world delivering the best performance in its price class. Both the front and rear signature wheels have a concave section design to improve strength of the wheel, requiring less mass. The 21-inch Aluminum wheels with the wide high performance Pirelli tires sits in lean sculptured pronounced wheel arches. 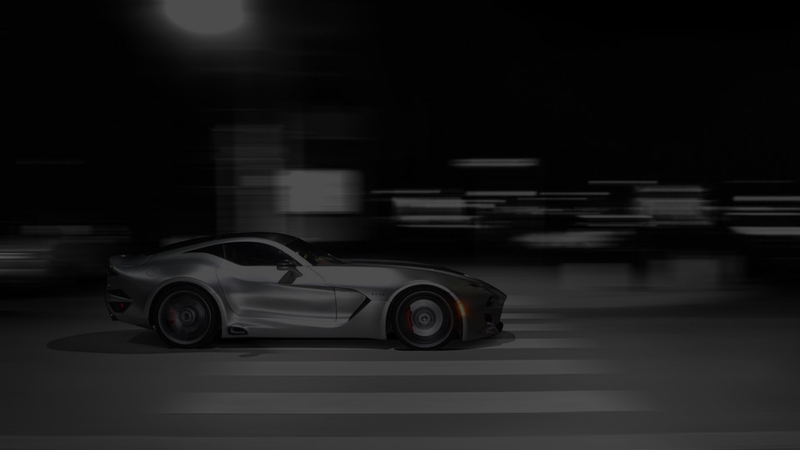 The front features an aggressive grille housing the VLF logo in the center, and two ultra-slim lights sitting above the grille. Behind the carbon-fiber roof sits a small spoiler/antenna enabling Wi-Fi connectivity in the vehicle. The interior is luxurious, with hand stitched ultra-soft leather, Alcantarra, suede with several other unique features, such as a champagne holder.